Ghost The Musical The Unknown and Art | All Tickets Inc.
A ghost apparently captured on film. In Ghost The Musical, they are full figures seen vividly. What happens when we die? There’s a question that just about everyone ponders and as a result there are many different ideas, beliefs and theories about this universal experience. What are ghosts? Do they exist? If you believe in an afterlife, then what does it involve? What is the “after” part of the afterlife? These questions are dealt with in Ghost The Musical. We may believe in an afterlife and we may expect to be somewhere else after we leave this mortal Earth but the answer is only known entirely by those who have passed over to the other side. 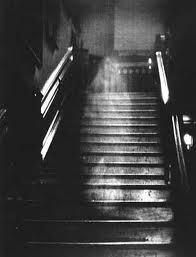 The basic belief is that a ghost is comprised of the essence of a deceased person or animal and this essence is in the form of energy, perhaps composed of the soul, that lives on beyond the body. In order to actually believe in ghosts, someone must believe that there is something more to us than our physical being. One common belief is that ghosts that haunt a place have unfinished business. They may have died in a violent manner or without being prepared for death or they may have a connection with someone on Earth with whom they cannot let go. 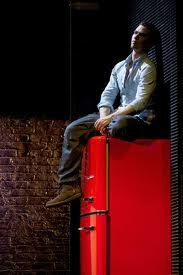 In Ghost The Musical, Sam Wheat certainly fits this profile. He dies a sudden and violent death and he comes to realize that he’s been set up and that the love of his life, Molly Jensen, is in trouble. He loves her so much he’s unable to pass entirely onto the afterlife and he takes on the challenge of coming back to save her from danger. Is this scenario one base on reality? It depends on your experience. Do you believe in ghosts as 33% of Americans do? That’s a start. Have you ever seen a ghost? If you have, then you are in the 23% of Americans who have had this experience. For those who believe in ghosts or have actually seen one, Ghost The Musical has a connection to reality. For the majority of Americans who do not believe in spirits, this musical plays on a different level—fiction, fantasy and a love story in the Romantic tradition. 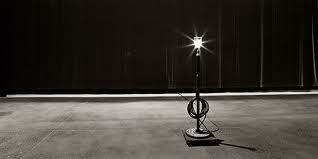 The ghost light keeps ghosts out of the theatre. then there’s a direct link. If you believe in ghosts, then there’s another way to connect. Or perhaps, you’re drawn to a great love story that includes clearly defined heroes and villains (melodrama of a sort). If that’s the case then that may be why you’re drawn to this play. There are other reasons that go beyond the supernatural, including the wonderful music, fine acting and singing, amazing illusions and cutting edge scenery. Why Is Ghost The Musical’s Story Fascinating? There are many reasons as to why people connect with the story of Ghost The Musical. In London’s West End, well over 250,000 people have seen and loved it. There is something endearing and enduring about this show and it has to do with the total effect that it has on audiences. For those who want to see Ghost The Musical, and All Tickets Inc. has been very busy filling orders, try to get your group discount tickets before the musical officially opens. This is a great time to purchase tickets as the positive buzz is just starting to develop and you can still get good seats for a performance in the not too distant future. Contact All Tickets Inc. at 800-922-0716 for tickets or for any questions you may have.